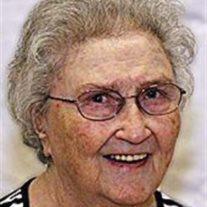 Ruth Skouson Bradshaw, 86, passed away peacefully on Saturday, June 28, 2014. She was born on January 21, 1928, in El Paso, Texas, and lived all of her adult life in Mesa, Arizona. She married Rodney O. Bradshaw on March 23, 1951, in the Mesa Arizona Temple, and devoted her life to creating a loving home for Rodney and their children, and extending care and comfort to her mother and mother-in-law. Ruth also provided lifelong service in the LDS church. She is survived by her husband Rodney, her sons Aaron (Donna), Kim (Dina), Blair (Sheron), Richard (Sian), Rusty (Juli), and Philip (Wendy); her daughters Gayle (David) Thomas and Ruthann (Carlton) Van Leuven; 33 grandchildren, and 45 great-grandchildren; also her sister Hazel Walker. She was predeceased by her parents, Jim and Alpha Skouson, her grandson Joshua Bradshaw, and her sister Eveletta Black. Visitation will be held on Thursday, July 3, 6 – 8 pm at Bunker’s Garden Chapel, 33 N. Centennial Way in Mesa. Funeral services will be held on Saturday, July 5, 10 am, preceded by a visitation at 9 am, at the Lazona Ward building, 1345 E. University Drive in Mesa.